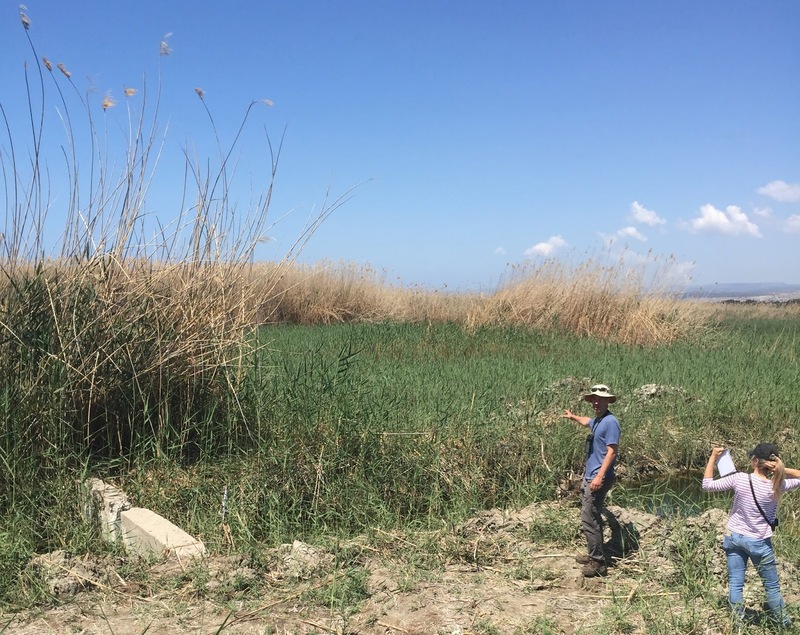 Phasouri reedbed (aka Akrotiri marsh) is a highly important wetland in Cyprus both for breeding and passage birds. Whilst the breeding birds include Ferruginous Duck and Little Bittern, birders perhaps best know the site for the range of passage birds, such as herons, waders, crakes, wagtails and pipits, that use the pools on the reed/grassland interface as a feeding resource. The site is highly popular with birders due to the often very close viewing and the good chance of turning up a rarity. The marsh also has wider importance for its wildlife, not least for the diversity of plants supported by the fluctuating and frequently brackish conditions. These include the Lesser Water-plantain and the Marsh Lax-flowered orchid. However, the number of birds currently using the marsh is way below the peaks of past decades. A key issue has been the spread of reeds into the grassland area with the resultant loss of the mosaic of open grass and pools. 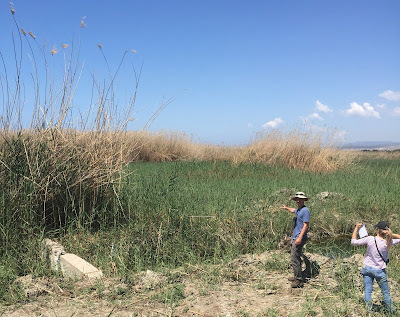 A project to begin the restoration of the marsh (www.akrotirimarsh.org), funded by the Darwin Initiative, is currently being undertaken by Birdlife Cyprus, the RSPB, the Akrotiri Environmental Education Centre and the Cyprus Sovereign Base (whose land it is situated on). The first crucial task is to understand why the reeds are spreading. The hydrology of the area is complex, with a history of draining (for mosquito control), of controlling water (probably for grazing purposes) and of recent neglect of management. Although water levels have generally dropped in recent years, they have also become more static as the drainage ditches have become choked with reeds and the sluices have fallen into disrepair. Water may not get so high in the winter but also may not drain effectively in summer. This has allowed the reed to spread into the grassland with a parallel reduction in grazing by the local community on the remaining grassland. And this is no ordinary reed; it grows to 5m plus! So the key to a successful restoration is to gain control of the water by clearing ditches and installing new sluices. Reeds will need scraping back and new pools created. The other crucial element is to work with the local community to increase the amount of cattle grazing the marshes in order to control reed regrowth. Currently, grazing animals are tethered but the installation of fencing will allow animals to wander freely into the edge of the reeds. The main restoration work will be underway this coming autumn. A week working in the field in Cyprus in spring is not the worst job in the world. Early morning wanders across Akrotiri plain saw arrivals of birds most days; the first day had a sizeable arrival of Ortolan Bunting and Tree Pipits and on the last day Pied and Collared flycatchers were everywhere. Glossy Ibis were arriving in flocks every day. Pallid and Montagu’s Harriers drifted through most days and a couple of Eleonora’s Falcons made an early return. The marsh itself provided Purple and Squacco Heron, Great Snipe, Little Bittern, Great Reed Warbler, Red-throated Pipit, Black, Grey and Blue-headed Wagtails and Blue-cheeked Bee-eaters. The local specialities of Cyprus Warbler, Cyprus Wheatear and Masked Shrike all performed on cue. The project also aims to enhance the visitor facilities on site through the provision of hides and paths. The present open access is a free-for-all that benefits just a few, disturbs birds and minimizes the number of people that can enjoy the site. The aim is to provide new walkways and observation points, enhancing both viewing and photographic opportunities. Overall, the project aims to restore the diverse habitats of the marsh and to strengthen the relationship between the marsh and the local community. So make Phasouri reedbed a must visit site on your next trip to Cyprus, enjoy the birds and the facilities, and then enjoy beer and sheftalia in the local Polis Tavern.